Swiss screw machining uses high precision capability to machine subminiature parts. 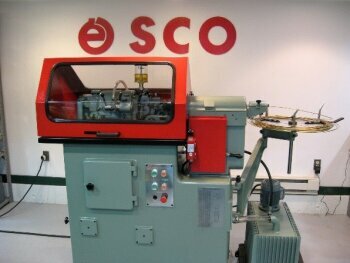 Often it’s a single spindle cam, Escomatic or CNC machine used to produce the complex and tight tolerance components. These parts can have diameters as small as .010” and tolerances as tight as +/-.0001”. Because Swiss screw machined components are often just a small, but integral part of an assembly, it is imperative they are machined with precision so the entire assembly functions perfectly – lives can depend on our high precision components! Industries that use precision parts such as the electronics, medical/dentistry, automotive, and aerospace markets all rely on Swiss screw machine components to insure their product has optimal performance. Tolerances of +/- .0001” complete on the machine without secondary operations increasing precision and minimizing costs. Superior surface finishes of 4-6 micro inches complete on the machine without costly polishing operations. Components with a wide range of sizes and complex geometries to address individual needs. Custom machined parts to exacting specification whether it’s tolerances, finish, custom profile shapes, specific raw material requirements. 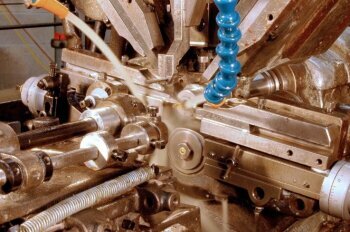 Swiss screw machining can play a critical role in the function of an application. Cost effective solutions. Don’t sacrifice quality for cost - quality Swiss screw machining can be high speed (efficient) and high quality. Learn more about our precision machining capabilities.